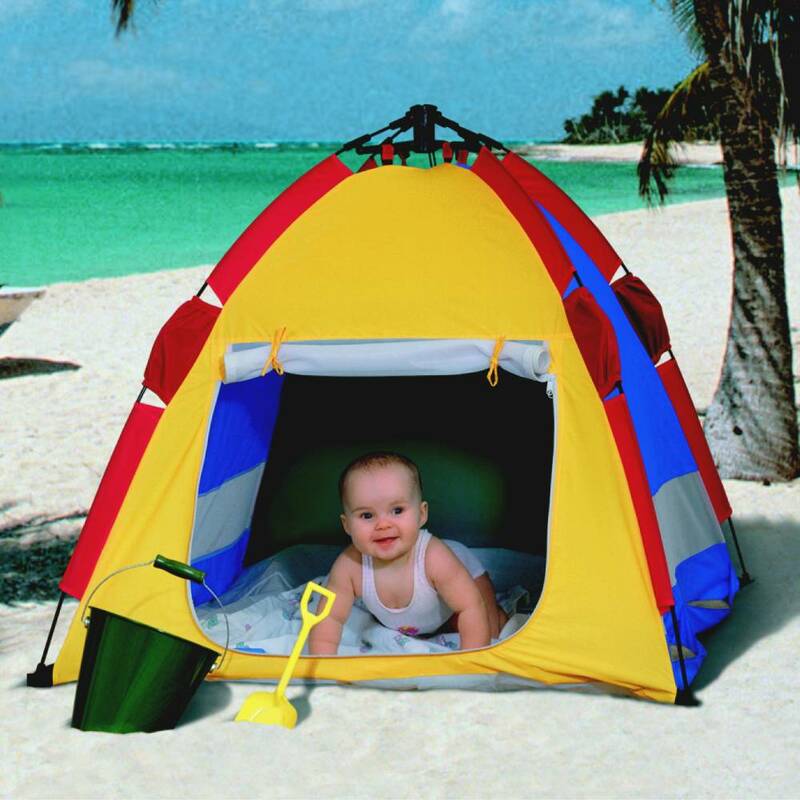 Everyone likes to enjoy being out in the sun, but we all know the dangers of too much sun, even more so for our little ones. 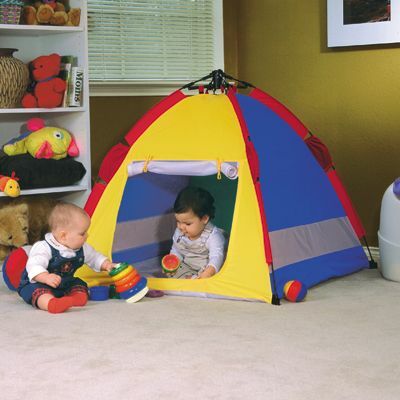 This great pop-up sun tent allows you to enjoy the garden or a day at the beach while protecting your little one from harmful sun rays with its 50+ UPF tested material. 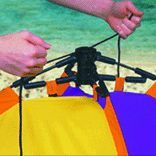 It is quick and easy to put up with its pop-open patented mechanism. 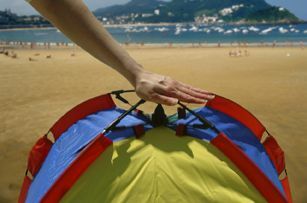 Its carry case and light weight design make it so portable and easy to use for a day out in the sun. A must have for the summer months. Closed and in its own bag (included) it is just over 60cm long.